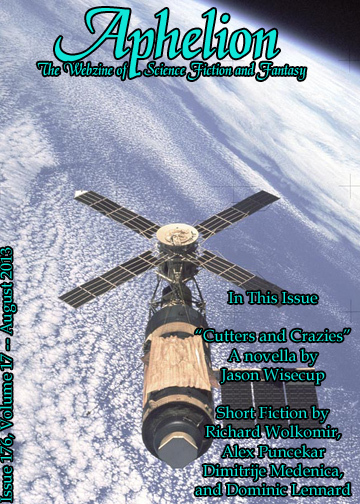 Aphelion: Webzine of Science Fiction and Fantasy, issue 176, vol. 17, August 2013. URL. This story also appeared in Dissections: Journal of Contemporary Horror, issue 10 (Mar 2015). URL.